Pretty much every resort will offer a table tennis table. Some even have elaborate outdoor pavilions, but I haven’t seen any ping pong area as stadium-eque Rihiveli Beach’s beach bar. They have set the table in a sunken area with a couple of rows of raked seating around the sides. Perfect for that family holiday grand championship tourney. One of my favourite artistic crafts is reminiscent of a sort of tropical Tanenbaum adorned with colourful bass instead of baubles. It is the Rihiveli Beach repeater totem recognition. 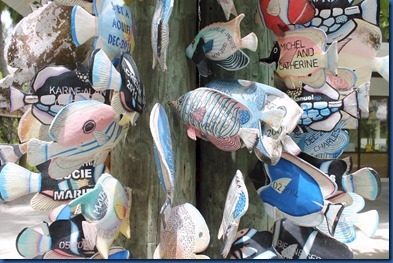 Situated at the cross roads of the paths which criss-cross the tiny island, is a totem pole covered with decorated fish that include names and dates of the guests’ milestone visits. The record repeater for the resort is 55. With this post, I’m adding the new tag “Repeater” for such recognitions and celebrations. I’m a big fan of everything coconut and always surprised that resorts do even more with this ironically indigenous ingredient. 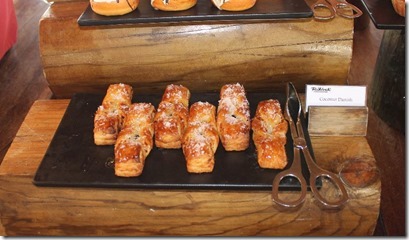 Rihiveli Beach had an impressive array of pastries (particularly impressed with their lemon meringue which had a soft crust as so many resort use hard crusts, which I tend not to eat), but my favourite was their coconut Danish on the breakfast buffet. Yum, definitely went back for more. Resorts feature all sorts of resident creatures including turtles, cats, octopi and rabbits. 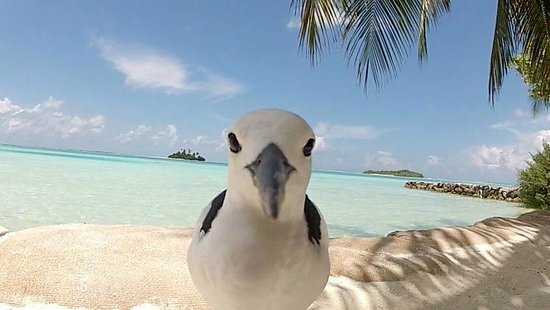 Many islands host a bevy of birds. 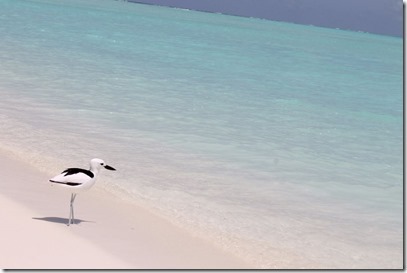 But no resident has charmed us as much as “Julietta” at Rihiveli Beach. 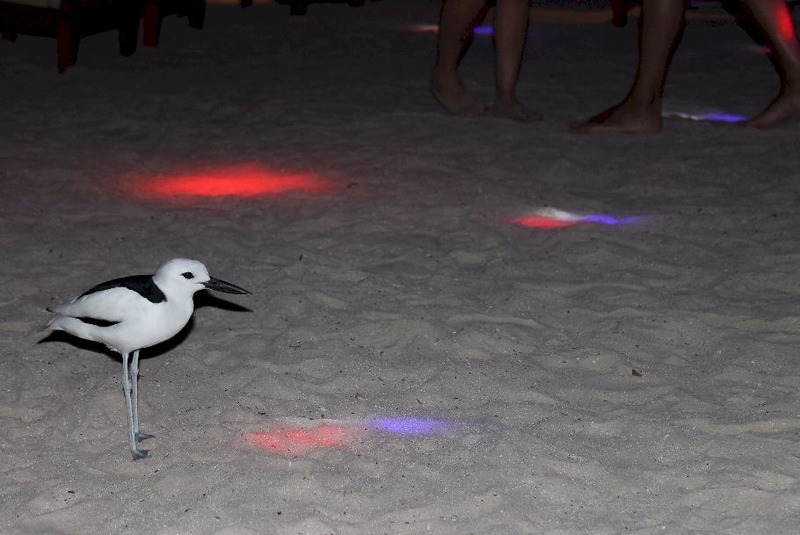 Julietta is Rihiveli’s resident Crab Plover. The local story goes that she was found on the neighbouring bird island when the resort was first developed in 1983 and brought over to Rihiveli because she couldn’t fly. Obviously, 34 years is a long life for a bird so there is speculation that this “Julietta” arrived in 2006 after the tsunami hit. Whatever her back story, her present day exploits are downright captivating. She came right up to us and greeted us sitting on our lounge chairs soon after our arrival. She follows the staff around like a puppy and at one point strolled along with us when a staff member was taking us some place. At first we thought that she was looking for food handouts or droppings, but it turns out she’s not interested human food in the least. All she eats are the little crabs that run across the beach. Actually, the staff can (and do) help her with her meals by shining a torch on the beach when the crabs are most active which helps Jullietta spot them. 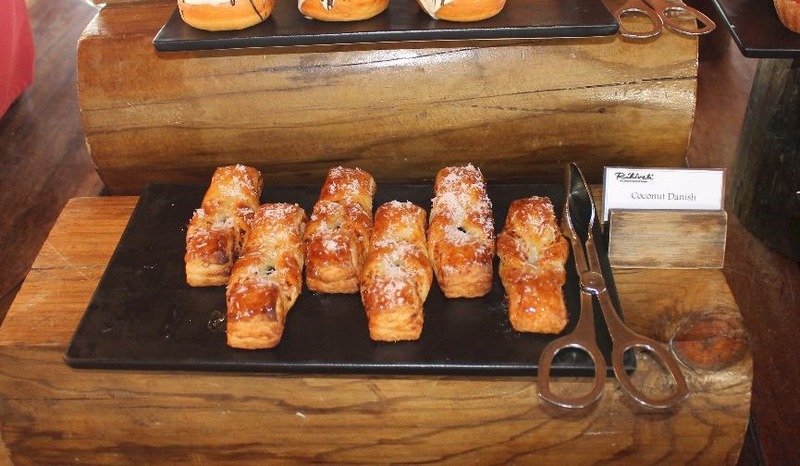 During a beach dinner one night, Julietta was being particularly sociable and so one of the chefs decided that she deserved some of her own treats. 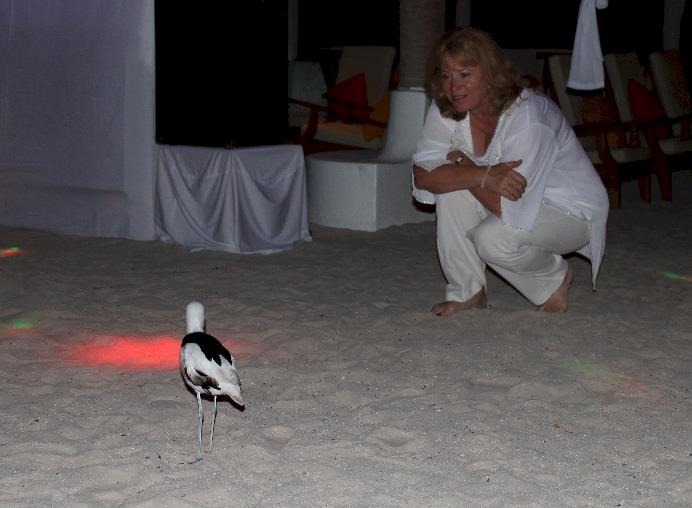 He stepped away from the buffet, turned the flashlight on his iPhone and shined it on the sand while Julietta eagerly snapped up a meal of unsuspecting micro-crustaceans. 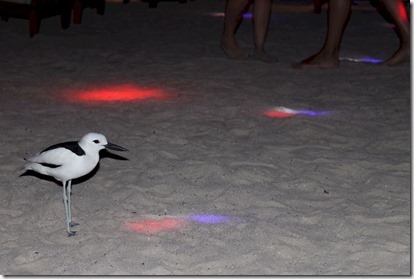 But the most fun part of the night was her joining the crowd on the disco floor of the infamous Rihiveli White Party (see photos below). During the thumping house music, she was out there in centre of the dance floor seemingly enjoying the vibe as much as any guest. Julietta has inspired her own virtual fan club with lots of paparazzi shots of her by visitors posted on TripAdvisor and Flickr. She has become such a high profile part of the property that the resort logo features her (in the midst of some of her disco dancing maybe) – see photo at bottom. 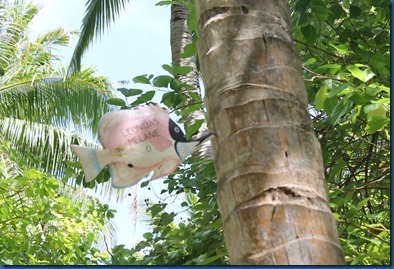 The legend that is Rihiveli is true. 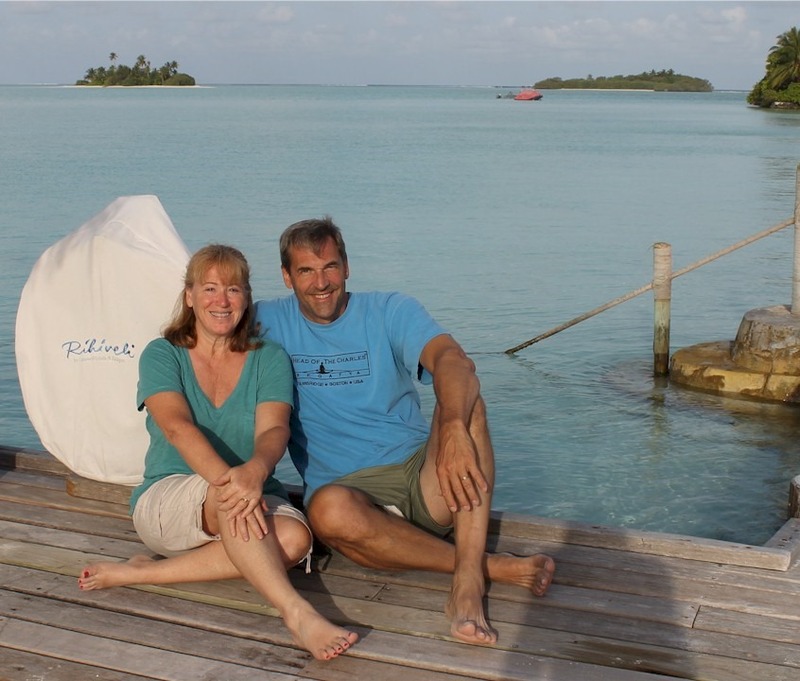 Our expectations were a bit piqued for Rihiveli as one of the top Maldives experts and good friend, Francisco Negrin, dubbed it his favourite island. Since he has stayed at over 40 resorts in the Maldives, including a number of 5+ stars, it was quite an accolade. Many of those tales I have heard (most through Francisco) and ended up writing about, unfolded before our eyes. Our stay (coincidentally since it was quite short) included one of their longstanding “White Parties,” which was bopping more than any other disco we have been to at a resort. Coming back from a dive trip to Ran Thila (one of the top ten dive sites in the Maldives) we came upon the resident pod of dolphins. Slapping on our fins and jumping into the water, at least 40 swam right by me. There are hundreds of these Spinners who live in the lagoon which is a bit of a sheltered breeding ground for them (tiny baby dolphins were everywhere, plastered to their mothers’ sides). Coincidentally, Rihiveli shares a number of qualities with Dhigufaru, the island we had just departed. Tiny islands both with only 40 rooms of simple accommodation and simple amenities. Though the more rustic Rihiveli was sort of like Dhigufaru’s bohemian older sister. 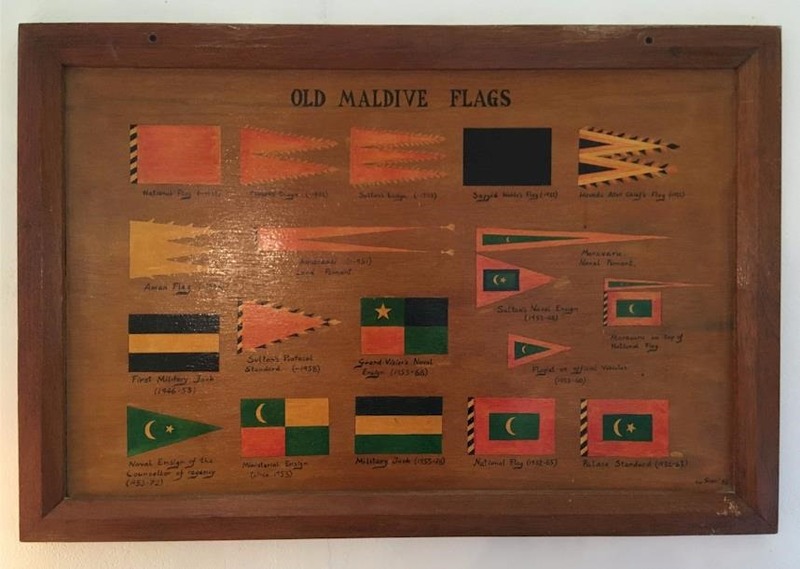 There was one aspect of this retro throwback that we experienced for the first time at Rihiveli – no air-conditioning. 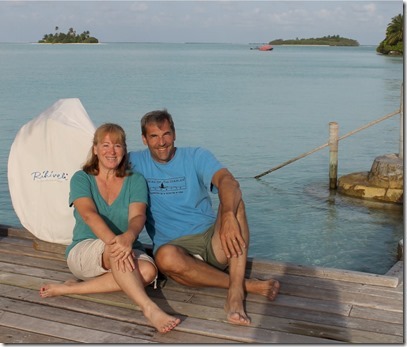 We started visiting the Maldives as early as 1998, when whether or not air conditioning was available was one of the data fields I tracked in my by research spreadsheet of resorts. We have always had air conditioning. 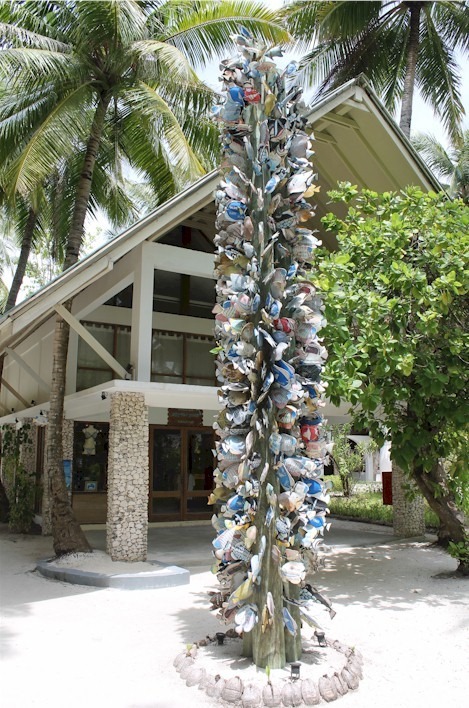 Rihiveli is a rare vestige of a by-gone era in Maldive tourism. I think only Fihahohi doesn’t have AC (of the resort islands, many guest houses are bringing the non-AC option back into fashion, of sorts). Why would anyone endure the tropical heat without the refuge of modern Freon? 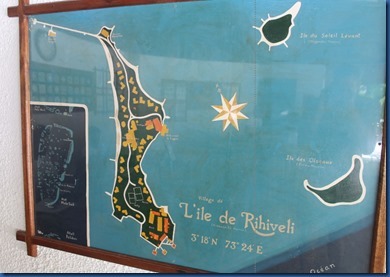 Well in Rihiveli’s case, to enjoy one of the finest island/lagoon combinations in the entire country with a bit of rustic simplicity and authenticity. It was indeed a bit toasty at Rihiveli during our stay. That meant plenty of dips in the refreshing lagoon (Rihiveli doesn’t have a swimming pool, either). The big concern was sleeping at night. Especially for my wife, Lori, who describes herself being particularly heat sensitive as a “woman of a certain age”. What we ended up doing was retreating outdoors to our villa lounge chairs on the beach to sleep. They were big, sturdy and comfortable (nice padding). We took our pillows from the bed and fell asleep under the stars with the gentle ocean breezes as our natural air conditioning and the soothing wash of the waves on the reef as our lullaby. If you absolutely cannot conceive of enduring tropical heat without AC, don’t worry. There are 6 rooms that do offer aircon for the very reasonable supplement of $35 per night. Rihiveli shows you don’t have to serve up gourmet cuisine to offer up delicious and satisfying food. After missing it at our 5 star stays, Lori finally got her Mas-Huni (a bit on the spicy side, but delicious nonetheless). The Thai Red Seafood Curry ($22) was as tasty any you could get at a typical Thai restaurant in the UK. Some of the best baked goods we’ve tasted this trip that could hold their own with 5-star offerings – freshly baked brioche, lemon meringue pie (with soft crust, which I adore, versus the hard, crunchy crust which is the resort norm), white chocolate donuts, King of Puddings and coconut Danish (Best Of the Maldives contender). Shows what you can do with simple dishes prepared well. We were even treated to superb sushi on the buffet. A major shortcoming for Maldives aficionados is the lack of a house reef. The lagoon is still full of marine life – the aforementioned dolphins, turtles and baby sharks we saw, a family of resident nurse sharks. 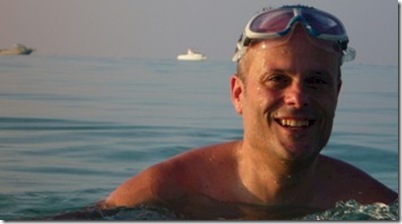 But some great snorkel spots are a short boat ride away. Really, though, this lagoon is as much a distinction as a drawback. 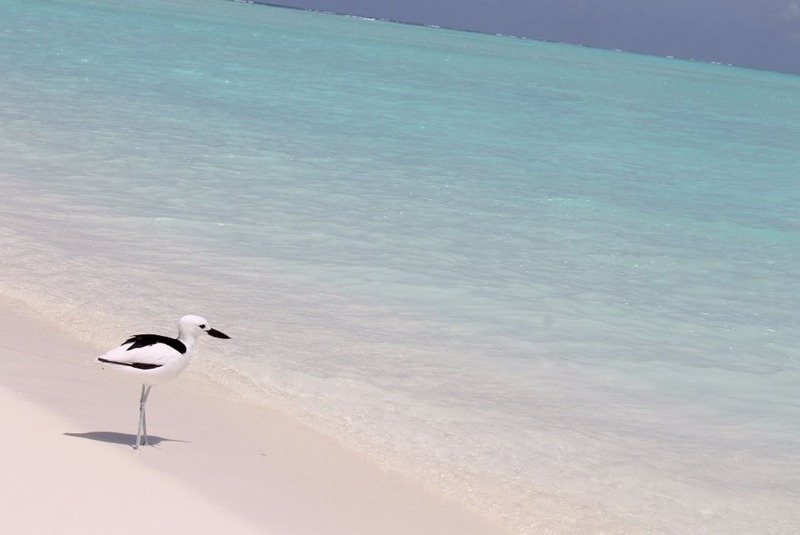 As the tales tell, it offers one of the most dramatic wading in the Maldives (a land of shallow waters). 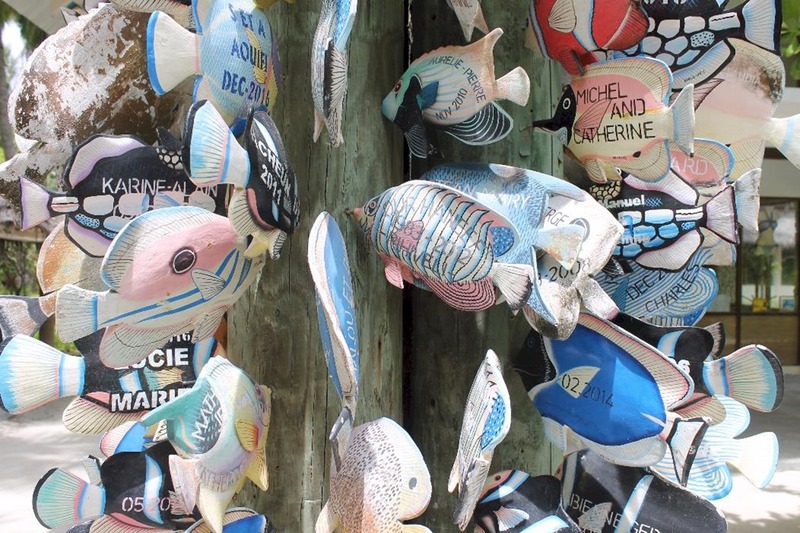 Specifically, we decided to pay a visit to the nearby L’Ile de Soleil Levant just a stone’s throw away. We asked the resort if we should take a boat and they responded, “Boat? You can walk there.” Which, indeed we did, as the entire distance was no more than knee deep. 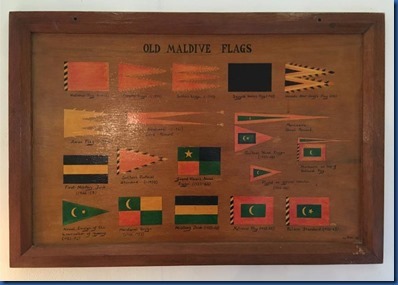 So many Maldives aficionados yearn for the simpler days of yore. Free of butlers, Jacuzzis and iPad room service menus. What I appreciate about resorts are the ways they make themselves distinctive. Those features may not appeal to everyone, but for those they do appeal to, the resort stands out with memorable and striking uniqueness. 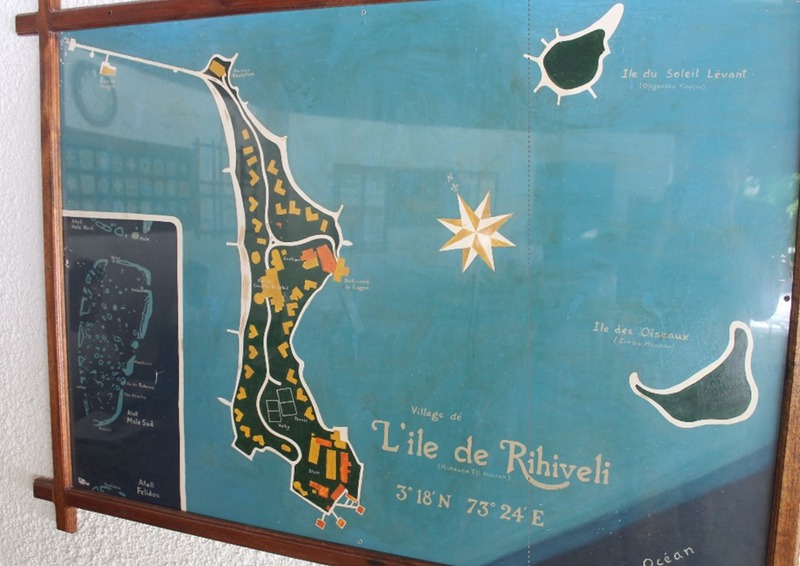 Riviheli will be a legendary treat for anyone seeking simple, pure, unadulterated Maldives.